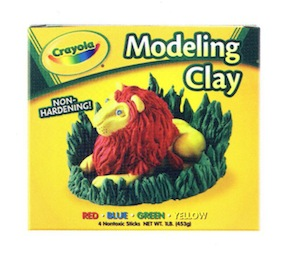 This 4 color kit includes red, yellow, green and blue clay. Triangles, rectangles, squares and balls are easy to make and combine in lots of different ways. You can build a house, clay mate, or a wiggly critter from non-hardening clay. Just let your imagination soar!